Pozieres Memorial, Pozieres, Somme, Picardy, France. George Thompson Boyd was born 7 March 1895 at Newtowncunningham, Co. Donegal the youngest of a family of nine; his father William was a shoemaker. By 1911 the family were living at Rosemount Avenue in Derry, where his fatehr had become a boot merchant and a number of his elder siblings had become teachers. and George was attending Foyle College. George enslited for war service at Dromard, Co. Down, but had not seen active service before the end of 1915/early 1916. His residence was given as Kilmore, Co. Longford. He was initally attached to the 11/13th Royal Irish Rifles. In February 1918, when the 11/13th was disbanded, men and officers such as George from this battalion formed the 22nd Entrenching Battalion, who were attached to the 50th (Northumberland) Division. They were initially tasked with digging cable trenches, however by the the German Spring Offensive began, they were without their Lewis Guns for defence. On the 24 March the battalion were sent to dig a defensive line from Rainecourt to Rosieres. 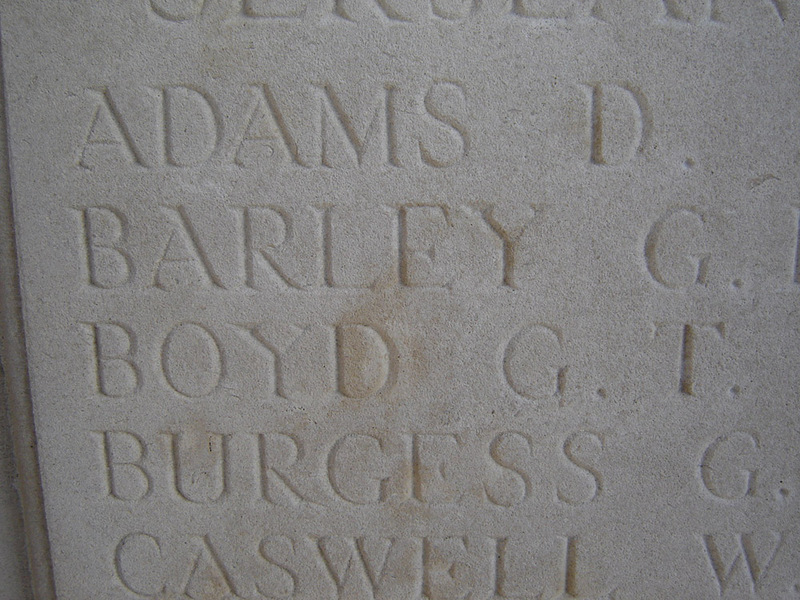 It is likely George died in a surprise offensive on the 50th Division on the 27/28 March. After his death, the administrator for his estate was Emma Florence Boyd. He is recorded in his enlistment papers as being born in Dromore, Co. Down but as this was where he enlisted it may have been an error. 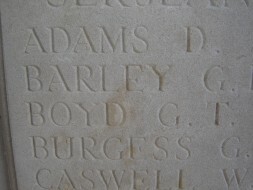 Elizabeth Boyd died in November 1897 and William Boyd passed away in December 1910.